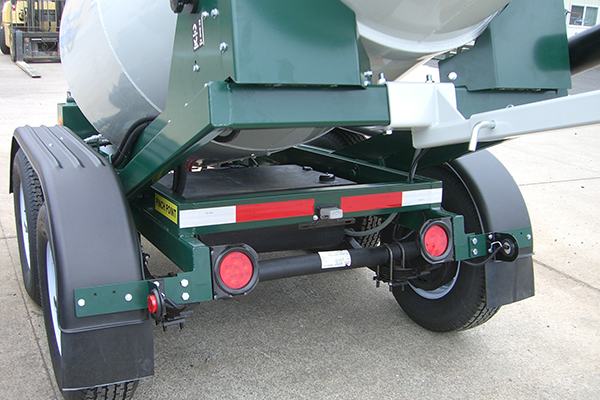 This package will make your towable concrete mixer really stand out, both day and night. We upgrade your lighting to LED’s in all directions, add side marker LED’s and add reflective strips to increase visibility. This option is available when you purchase a new trailer. If you are refurbishing an older Cart-Away, U-cart or Trailer Haul towable mixer, talk to our parts department to order an enhanced visibility package that will work with your existing equipment. Be safe on the road with enhanced visibility on your mixer.